The Android platform has rapidly risen to become the most popular app OS recognized by both individuals and businesses alike for mobile app development. Currently, there are over 4 million Android applications available in the Google Play Store, thanks to its massive market share and open source nature. Today, anyone can create new applications for a range of users through Android app development. Based on Linux Kernel, Android is basically a mobile operating system developed by Google and it’s primarily designed for a range of products such as wrist watches, televisions, cars, tablets, touch screen mobile devices, etc. Most App developers are fond of using the Android SDK to develop applications for the platform in Java programming language. Currently, there is an increasing number of entrepreneurs building Android mobile apps for their businesses. However, there is still a significant number of enterprises that are looking to work with experienced app development companies to develop a functional Android application for business purposes. No doubt, the importance of using mobile applications in the modern business world cannot be overemphasized. Developing an Android mobile app and getting it approved for the Play Store is no easy feat. As a matter of fact, app developers need to be well and fully prepared before heading for mobile app development. To this end, it’s become imperative for App developers to understand the common challenges facing Android app development and be able to proffer strategic solutions to overcome them. Also, it is highly important for both prospective and experienced app developers to always make adequate research on factors that could affect their development process and ensure to pay ample attention on how these challenges can be effectively overcome. Here are interesting solutions to some common Android app development challenges. Due to the lack of an efficient quality checking rule, it is seemingly difficult to avoid experiencing patent and copyright issues when uploading a new Android app on the Google Play Store. On several occasions, developers have created apps that tend to copy the design concepts and features of other mobile applications without adhering to existing patent rules. When it comes to Android app development, developers need to be fully aware of all patent laws to avoid being challenged for infringing in patent or copyright laws. Currently, there are over 4 million mobile applications available on the Google Play Store. Basically, users have several options to choose from this wide collection ranging from free to paid apps. Due to the high level of competition involved, App developers have no choice but to make their apps stand out in the crowd. Ultimately, they need to work toward increasing their app visibility in every way possible. 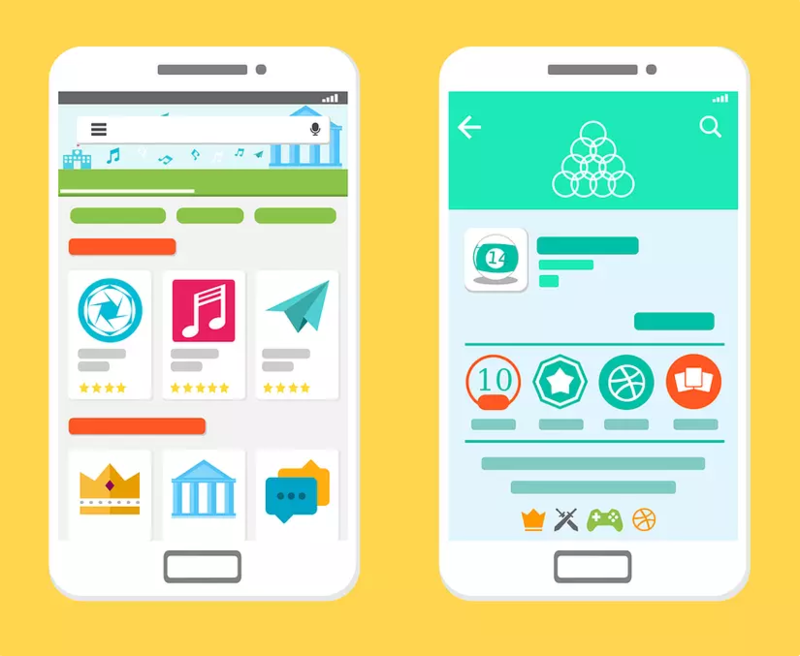 Implementing a robust ASO (app store optimization) strategy is one of the most common ways of enhancing the visibility of an Android application. Other helpful means include incorporating high-quality videos and screenshots, integrating the right keywords in the app description, creating a unique application icon, and selecting a suitable application name. Android OS is extremely vulnerable to targeted security attacks due to its massive global market share. Overcoming emerging Android security flaws can be overwhelmingly challenging when securing applications and user data on the platform. Most security issues on the platform are fixed by the regular security updates and patches released by Google itself. Nevertheless, it is expedient for any mobile app development company looking to tread this path to be security conscious of the apps they are creating. Development agencies can effectively protect their apps and user data by combining advanced encryption mechanisms with robust security features. When it comes to developing mobile applications for Android, it is expedient for any mobile app development company looking to make an impact in the mobile tech world to adopt the right programming language necessary for development. Currently, Java and Kotlin are the two official programming languages available for the development of Android apps. While Kotlin is simply regarded as a modern programming language with simplified app development features, Java still remains the ultimate programming language for Android. Generally, it is seemingly difficult for mobile app developers to create apps compatible with varying Android devices. It is common to have UIs that differ from one device to another because Android operating systems have no standard UI for devices. However, Google has UI design guidelines that can be implemented to develop functional and appealing applications. What matters most is making your app look appealing to your users. The only best way App developers can make their app compatible with individual devices is by maintaining a highly responsive and adaptive app layout. Virtually every year, new versions of Android are released by Google. These OS upgrades often come with advanced features and enhancements suitable for both applications and their devices. When developing mobile apps for Android, it is important for every mobile app development company to ensure that multiple versions of Android (such as Android 8.0 Oreo, Android 7.0 Nougat, Android 6.0 Marshmallow, etc) are well targeted. This is mainly because some of these OS versions have greater market share than others so targeting one or just a few can prevent potential users from accessing the app.